While various types of regulatory and insurance “audits” are on the radar of any prudent Federally Qualified Health Center (FQHC) or hospital, as health care providers, Section 340B audits are a relatively new and unknown animal. The Section 340B Program, whereby qualified covered entities can benefit from substantial discounts on certain patient drugs, has existed since 1992. Section 340B audits, however, began less than three years ago. The U.S. Department of Health and Human Services, through the Health Resources and Services Administration (HRSA) authorized the first Section 340B Audits in 2012. Since then, the number of Section 340B Audits has been on the rise. In 2014, HRSA audited 99 health care providers and has forecasted doubling that number this year. Increasingly, these audits present serious financial and business risks for Section 340B Program participants. Presently there are two categories of Section 340B audits: audits conducted by HRSA and audits conducted by the drug manufacturer. Results of HRSA-conducted Section 340B audits are publically available. All Section 340B audits are geared toward requiring and facilitating Section 340B “covered entities” (i.e., the FQHC or hospital that participates in the program) to ensure Section 340B program integrity and accurate record keeping. Requirements are set forth in 42 U.S.C. § 256b, which authorizes Section 340B compliance audits. The Section 340B audit can be daunting for a covered entity. Once HRSA selects an FQHC, hospital or other covered entity for a Section 340B HRSA audit, it sends a letter to the covered entity providing notice of the audit and describing what to expect and how to prepare. After the letter is received, the covered entity can expect HRSA to schedule an introductory call to discuss information and documents that HRSA will need to conduct the audit. Then HRSA’s auditors will schedule a meeting with the covered entity. Eventually, an on-site review of the covered entity will occur. 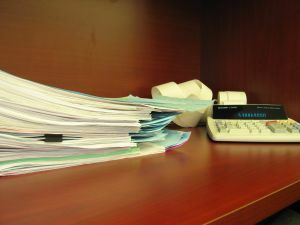 During the on-site component of the audit, HRSA’s auditors will likely conduct a meticulous review that will cover such things as: (a) the covered entity’s written policies and procedures and whether they are followed; (b) records that verify (or not) eligibility; (c) internal controls to avoid duplication of discounts and/or diversion of Section 340B drugs; (d) the “patient” definition utilized by the covered entity; (e) contracts and other legal documents that establish a contracted pharmacy arrangement; (f) and myriad records that relate to the question of “compliance” with applicable HRSA protocol for the program. HRSA’s auditors will send their preliminary report to HRSA’s Office of Pharmacy Administration (OPA), and OPA will review the preliminary report and issue a final report to the covered entity. Following the final report, the covered entity has a right to a notice and hearing regarding HRSA’s findings and any sanctions or remedies HRSA employs. While a HRSA-conducted Section 340B audit is not necessarily an adversarial event, covered entities should always confer with their legal counsel before meeting with HRSA’s auditors. Depending upon the circumstances, legal counsel may need to be involved in the process and monitor all communications with the government. If the audit notice indicates a drug-manufacturer’s audit (rather than a HRSA audit), the context and stakes likely warrant immediate consultation with the covered entity’s legal counsel and perhaps appropriate consultants with expertise in this area. The process of a Section 340B audit conducted by a drug manufacturer will have much greater potential for an adversarial tone, as the manufacturer will likely seek a financial recovery from the covered entity by way of a “refund” of drug discounts. If you have questions about this post, you can contact our business and health care law firm at (404) 685-1662 (Atlanta) or (706) 722-7886 (Augusta) or info@ksllawfirm.com.